After putting his name in for The Mortal Instruments, he quickly got the job and started working non-stop to bring it to the screen. Last year on the Toronto set, I participated in a group interview with Zwart during a break in filming. He talked about why he wanted to make this story, how filmmaking is a collaborative process, what he did to distinguish it from the other young adult fantasy properties, the soundtrack, 3D, and a lot more. Hit the jump to either read or listen to what he had to say. 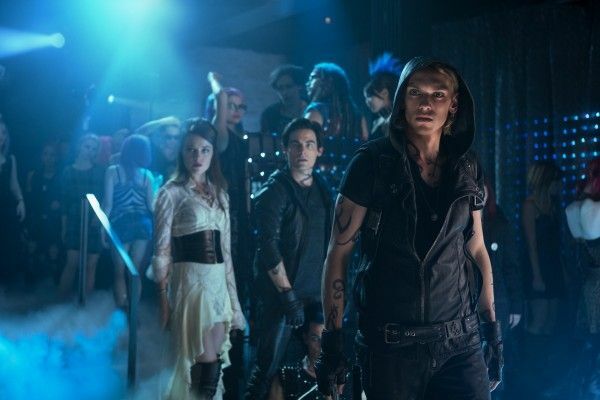 The Mortal Instruments is a series of six young adult fantasy books written by Cassandra Clare. 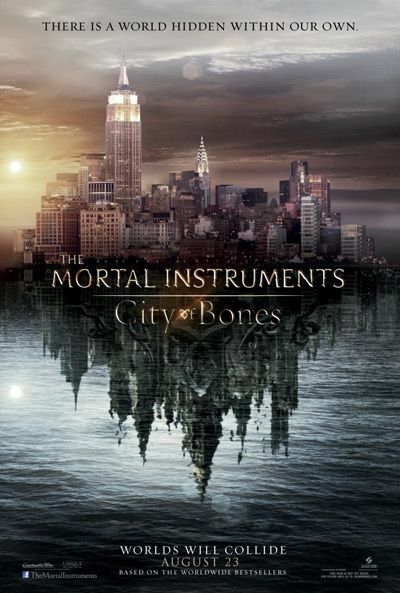 In the series’ first book, the #1 New York Times bestseller The Mortal Instruments: City of Bones, set in contemporary New York City, a seemingly ordinary teenager, Clary Fray, discovers she is the descendant of a line of Shadowhunters, a secret cadre of young half-angel warriors locked in an ancient battle to protect our world from demons. 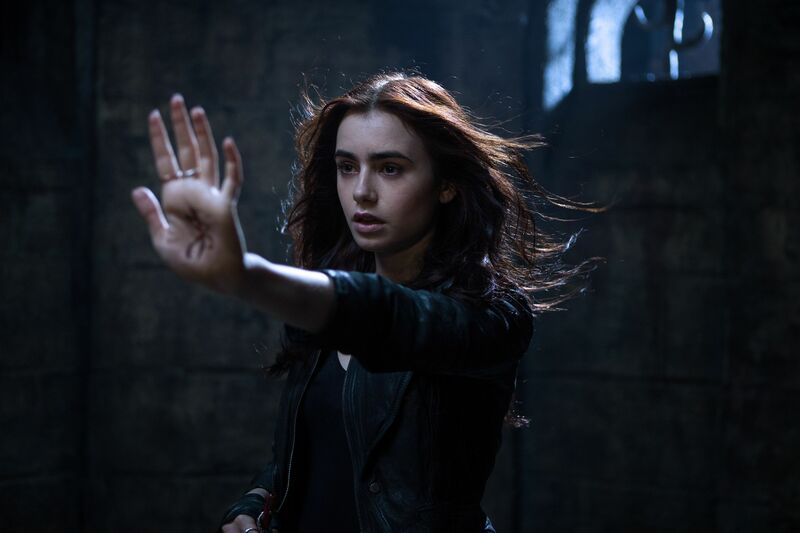 After the disappearance of her mother, Clary must join forces with a group of Shadowhunters, who introduce her to a dangerous alternate New York called Downworld, filled with demons, warlocks, vampires, werewolves and other deadly creatures. As usual, I’m offering you two ways to get the interview: you can either click here for the audio, or the full transcript is below. 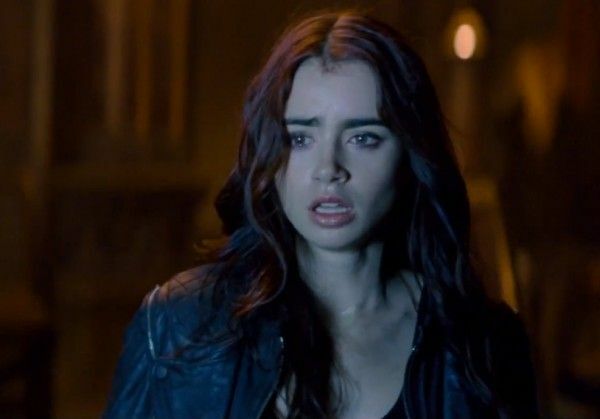 The Mortal Instruments: City of Bones opens August 23. Question: Coming off Karate Kid, big success, I would imagine that you’re getting offered a lot of stuff, what was it about this film that made you say, “I want to do this for my next film”? HARALD ZWART: I’ve always liked fantasy movies, Harry Potter, and having young kids obviously opens up another level of enthusiasm for those kinds of movies. I’ve always loved Indiana Jones and anything that had to do with action-fantasy and this one in particular was interesting because it had a female lead. I think she’s very strong. I admire her courage, and I think it’s kind of interesting the psychological aspect of it that she’s actually not investigating something external, she’s actually investigating her own memory and her own mind. That was enough for me to jump on it. Can you talk about some of the challenges of doing some of the effects work because that’s not something that you’ve dealt with a lot? ZWART: Well I’ve done it a lot in commercials. Right, but not on this scale. ZWART: No, you’re not wrong, effects and stunt work to me is often where you bring in the professionals and it’s more mathematical solutions than it is unsolvable problems. 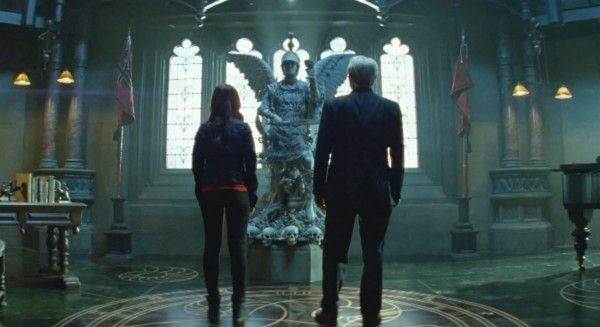 I find that finding the emotional tone in a scene, what level they should be at, and getting great performances is much more of an unknown challenge than actually working with effects and stunts. When Lily talked to us she said that one nice thing was that you have been very receptive to the actors own suggestions, obviously there’s a script to follow, but if they have something about how they think a scene should be played you’re receptive to it. Is that something that you’ve carried throughout your career or is that something that you’ve kind of trusted these actors to do? ZWART: Well it’s not only the actors, I think that making films is listening to everybody around you, even the DP or the producers, people have suggestions. To me, this is maybe a silly metaphor, but it’s a bit like you step on a stage and I’m not a really good jazz musician or anything, but I imagine the guys who really know how to play jazz, they agree on a beat and then they listen to musicians and eventually it becomes a great jam session that becomes a really great piece of music. I think filmmaking, I try to think about what it is, but I think filmmaking is very close to that where you come in, you have a script, you think it’s one thing and it ends up being something completely different. And very often actors who are the people who have to say these lines that you’ve been sitting with, you know, you sit there with a score and you’re inspired by a movie that you’ve seen and you write some lines and it’s completely pretentious and the actors come in and say, “It just doesn’t sound right when I say it.” Then you’ve got to go, “Oh, OK, let’s find a way to make it work for you.” As long as the intention is the same I think there’s no rules or regulations let’s just make the best of it. There’s been a good rapport between you and the actors? ZWART: Yeah, yeah, we have a great time. What were some of your artistic points of reference when creating this world? And also, what did you do to distinguish it from the other young adult fantasy properties out there? ZWART: That’s a tough question to answer, what I liked about the project was it was a good opportunity to really ground it. I’ve been trying to somehow see how can I take all of Cassandra’s magical ideas and somehow almost scientifically explain them? How could we make sure that- do these demons exist on a different frequency? Is there a vibration thing? That’s when I started thinking maybe there’s a music thing and we brought in Bach’s music and we thought maybe there’s something hidden and it’s a little like The Di Vinci Code where you take already existing phenomenon and you back into a solution. I think that one of the things we’ve had lots of fun with is taking Cassandra’s- because she has so many things in there and trying to explain it a little bit. Because some things you have to explain a little more in movies than you can do in a book where you have lots of time to explain things. I don’t know how were distinguishing ourselves from the other ones because I think the other jobs have done a great job of what they do. I have just been obsessed with making sure I had great actors for all the parts. I think one of the successes with, for instance, Harry Potter is even the smallest parts are great actors and that’s something I’ve been really striving to get so the casting has been really important. How do you balance the need to set up a franchise versus balance the need to make sure this movie stand on its own? ZWART: I haven’t thought of this as a franchise at all, it’s obviously out there, but unless this movies great there is no franchise. I think it’s been important to make sure that the movie has an emotional closure, because the book is very cleverly set up so that you almost have to read the second book in order to get answers to a lot of the questions that are raised at the end. We’ve been really working hard on making sure that the movie at least had an emotional closure to it. It’s almost a little try to not think of the franchise as much as just focusing on one movie at a time. ZWART: I still think there’s any argument to be made for film, I fought really hard and the producers were very supportive of going with film. I still to this day think there’s a distinguishable difference. And to me this was not a monster movie, I went as far as, when I spoke to the composer and the designer I said, “Think of it as an Amadeus. It’s much more an Amadeus than it is a monster movie.” Because, you know, Francois Sequin, the DP I have, and the composers, they’re all people who don’t do monster movies necessarily so I wanted to really approach it from a different direction. And the romantic idea of this movie, the love story, lends itself a lot more to the skin tone, the romance, and the imagery that we can do with film that I still think is much more forgiving with film than when you use digital. I’m also curious about your music choices, are you already thinking about the soundtrack and putting certain songs in certain places? ZWART: No we haven’t started there yet, but I hired Gabriel Yared who is a fantastic composer. When I called him up he said, “I’m sorry, you want me to do what?” [Laughs] Because you know he’s done The English Patient and some of those epic beautiful movies. I said, “Well there are vampires and werewolves, but at the core it’s a love story” and a lot of people can do action movie music, but very few people can really move you emotionally and I think that’s why I hired him for that. Are you planning to shoot in New York as well? ZWART: Yeah, we’re doing some pick up shots, establishing shots, anything to sell the movie that it happens in New York, that’s all in the works. What scene do you think the die-hard fans are going to be most excited to see? ZWART: Oh, that’s been a deep analysis for all of us, including Cassandra, what must we keep and what can we- because out of any reason, sometimes logic doesn’t play, or budget reasons. I really don’t know. I think we’re iconic book scenes every day. Like today when she learns that Jace is her brother. We were joking with Lily she has what she calls “Oh my god moments” every single day where people give her a piece of information that turns her world upside down. When Simon says that he loves her, when Dorothea tells her that her mom’s- I don’t know, there’s some really- I think we’ve managed to keep all of them. Are you doing 3D on this movie? Was there a lot of debate about doing 3D? ZWART: We debated that for a little bit and we decided that it wasn’t necessary, it was, again, the target group and the romantic idea, there’s less need for 3D on it. We just found that there was no need for it. Are you a fan of 3D? ZWART: Yeah, yeah I love 3D. I mean even though I don’t do this one in 3D, I still love 3D, I love seeing the Pixar movies in 3D. I just saw Dial M for Murder restored in 3D which I thought was fantastic. But, again, completely could have just as well have been in 2D and would have had the same impact; even though Hitchcock did put a lot of stuff in the near foreground to sell the 3D. No, I’m fine with 3D, we just came to the conclusion that for this movie it was not necessary. Having the author on set, was there any trepidation about that on your part initially? ZWART: I know sometimes people think that can be a frightening thing, but Cassandra’s really flexible with her material. She sees that as long as we keep her intentions and what she knows that the fans love, she’s been very cool. And I’ve been emailing and calling her a lot where I’ve been going through the movie and I’ve said “Can you come up with a different solution of how to do this? Because I can’t shoot this or it doesn’t work.” She writes me pages. So that’s been really great, she’s been really fantastic in that sense.